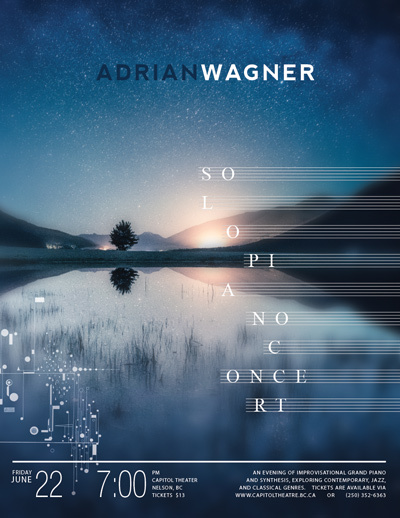 Adrian Wagner grew up surrounded by both classical choral music and southern gospel jazz. Living in one of the most ethnically diverse areas of the US, he simultaneously sang in a choir at one of only 5 gothic cathedrals in the USA, and as pianist for a dominantly black gospel choir and jazz orchestra. 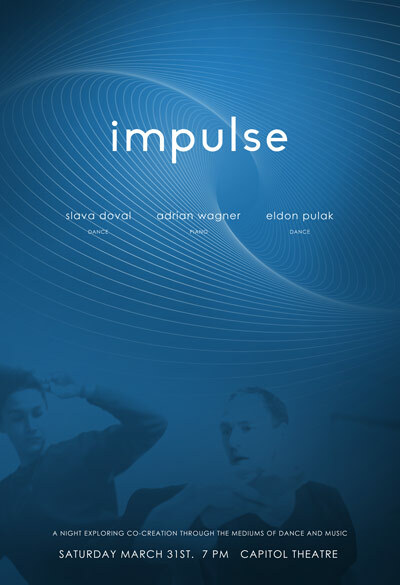 At the age of 17, Adrian moved to New York City to study classical composition, jazz piano, and improvisation. He later furthered his studies of jazz and audio production at the Berklee College of Music, in Boston, MA. In 1999, he travelled to Zimbabwe, where he spent 6 months writing a thesis on improvisation in traditional Shona music. Since moving back to his roots in Canada, Adrian has toured across Canada as the keyboardist for the Wassabi Collective. He has also played with Terradactagon, Ganga Giri, Mishka, and The Ensemble Project in NYC. He has produced 6 albums to date and lived for 1 year at the Yasodhara Ashram, where he dove into the exploration of devotional music & bhajans. 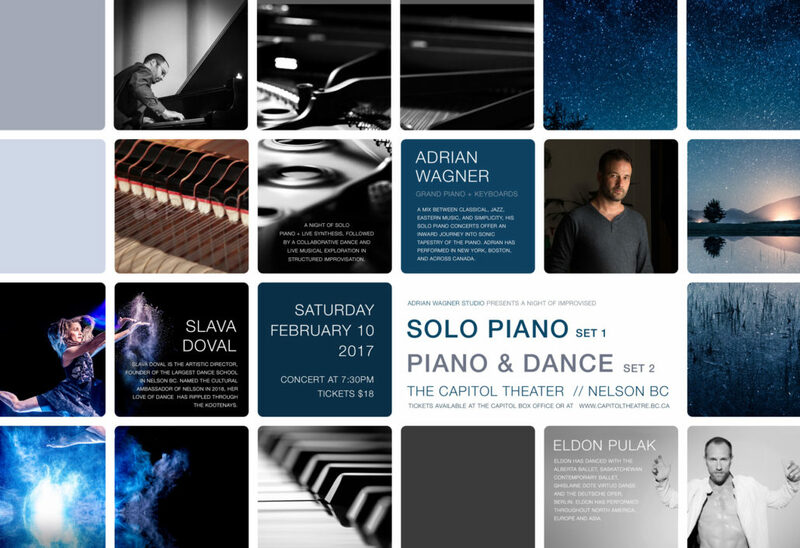 A mix of classical, jazz, Eastern music, and simplicity, his solo piano concerts offer an inward journey into the rich sonic tapestry of the piano, and an exploration of music from around the world.